Sssssh! Be Very, Very Quiet.. If things seem to be quiet here at Red Shadow, it is because there is planning in the works! We have been busy these last few weeks ironing out the fine details of our next litter and shifting our focus from Conformation to Performance. Are you asking yourself, what is performance? Well, performance is training…..and lots of it. 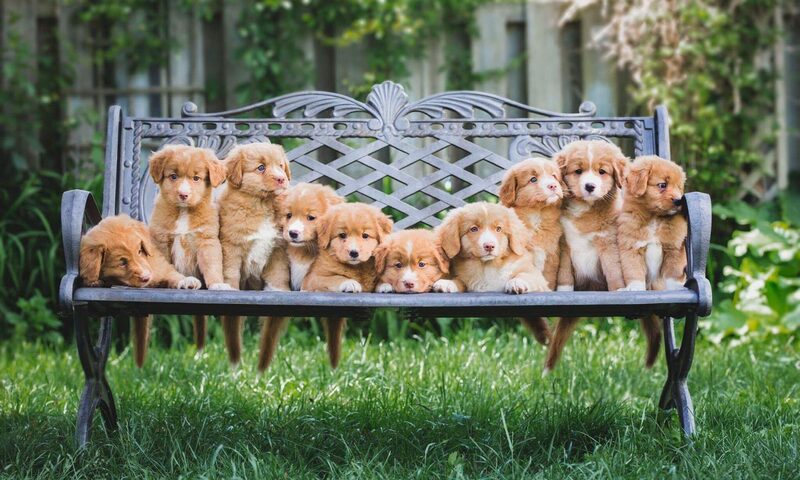 The Nova Scotia Duck Tolling Retriever is an incredibly versatile dog. In addition to the Tolling it was bred for, Tollers love hunting! Tollers excel at other fun stuff too! They love Agility, Obedience, Rally Obedience, Scent Detection, Barn Hunt, Trick, Free Style Frisbee, Dock Diving and Fly-ball. They also have careers in Border Security, Avalanche Detection and as Therapy Dogs for Seniors, Autism, PTSD and Grief support (funeral homes). In this coldest time of the year, we plan out and start our training programs. From the youngest to our seniors, we are always looking for new and interesting ways to show off the smarts of these little red duck dogs. On February 4th and 5th, Hadley (Ch. Redshadow’s Tuff Act To Follow) will be in competition for her Companion Dog (CD) Title at the Ancaster Fair Grounds, Concession Building, 630 Trinity Road, Jerseyville, Ontario. As always, if you are in the neighbourhood, we would love to meet you! We are also working with Verin to get his Junior Hunter and Working Certificates this year! We don’t have a date for these competitions yet because we will need a bit more time and space to do our training, but as soon as we are ready, we will be announcing that as well. So, as a part of your own New Year’s Resolution, what awesome plans have you made for you and your dog?? Previous PostPrevious We’ve Updated Our Website!! Next PostNext Who doesn’t like free stuff?